Home security is an increasing concern as crime rates continue to rise around the world. The smart lock market is projected to grow to over 2.7 billion by 2023 across various applications including residential, commercial, and industrial. To keep up with this growth, startups and established companies need a way to streamline their design process and find an inexpensive, versatile, and easy to use development solution to take a proof of concept into production as quickly as possible. By saving time developing a prototype, developers can spend more time incorporating key differentiating factors into designs that maximize revenue. To accelerate the design of IoT devices, NXP has introduced the Rapid IoT prototyping kit. 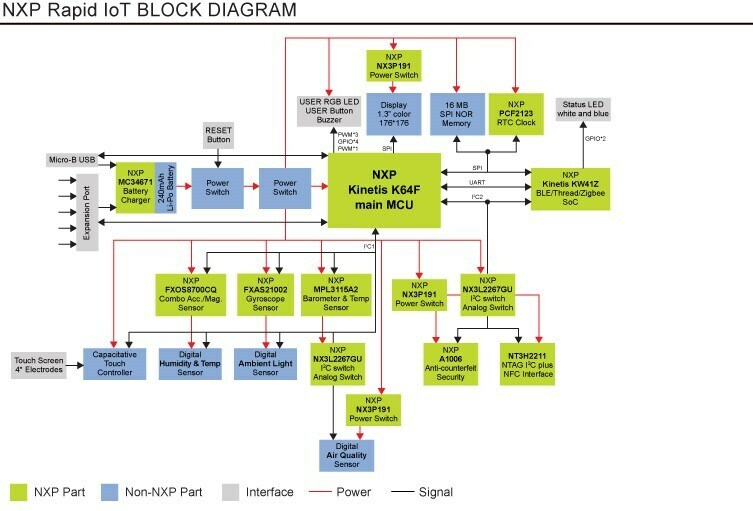 It integrates eleven NXP devices (microcontroller, low-power connectivity, sensors, NFC, secure element, power management, interface) in a small form-factor hardware design, and combines it with proven software enablement (drivers, RTOS, middleware, cloud connect) and a web IDE with GUI based programming. Refer to Figure 1 for the complete block diagram. You can get one by clicking here. Rapid IoT provides the easiest path for anyone to take their connected device to a proof-of-concept by simplifying the design process. 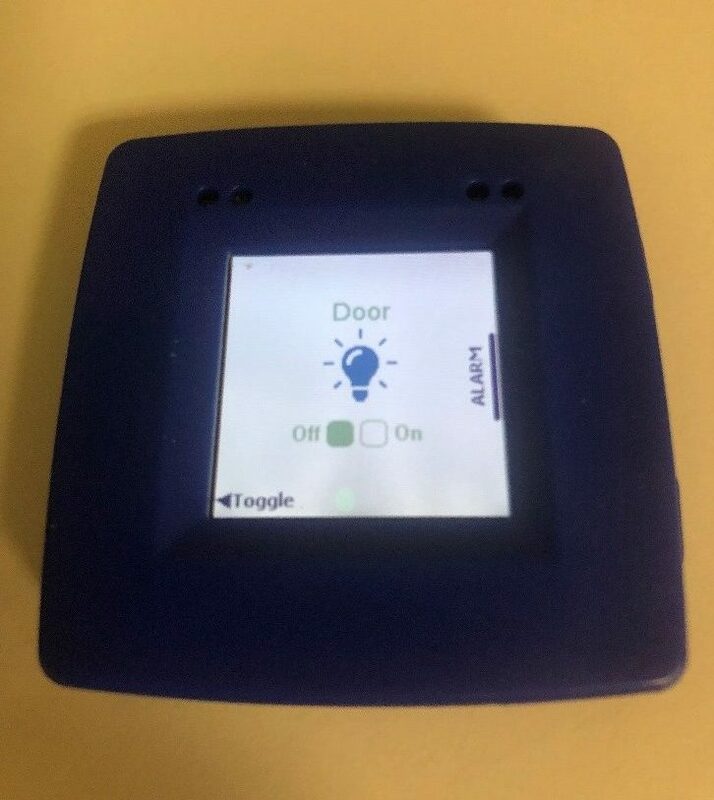 It eliminates the need to write code and integrates all the necessary functions required by an IoT device including the ability to sense, think, and act. Figure 2 shows the smart lock control unit conceptual design. With a smart phone app, the user can lock and unlock a door via BLE communication. If movement is detected by the smart lock control unit, a warning message is sent to the smart phone device and an alarm is activated. For data storage and enhanced communication capability, the smart phone device and/or smart lock control unit should be able to transmit/receive data from the cloud via Wi-Fi or 4G connectivity. The control unit or locker should have a UI to locally manage and control the lock. 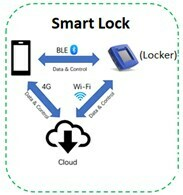 The smart device should have a UI to wirelessly manage and control the lock via BLE or Wi-Fi. Data processed and acquired can be uploaded securely to the cloud for future analysis. 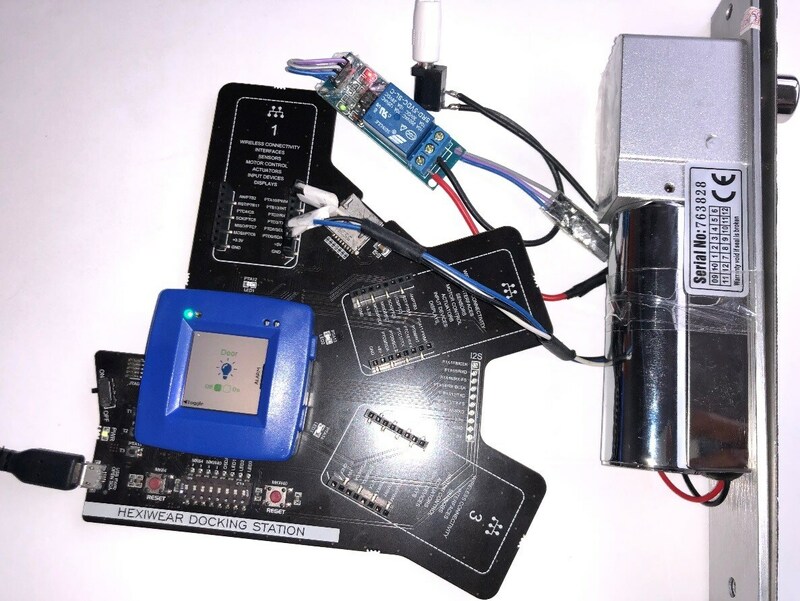 To achieve this, the Rapid IoT design uses one GPIO pin to control the locker and uses the accelerometer to detect door movement. Wireless connectivity is possible via BLE or Wi-Fi while the hardware and smartphone UI was easily designed using the Rapid IoT Studio IDE tool without writing a single line of code. To secure data uploads to the cloud, a secure tamper resistant authentication device is used. Figures 3 through 5 show the Rapid IoT studio environment and the smart lock function design and hardware. Figures 6 shows the Rapid IoT smart phone UI design, which is used to wirelessly monitor and control the locker. All the necessary files to build and test this design can be found here. If you have a question or concern, you can post it in our Rapid IoT community page by clicking here.